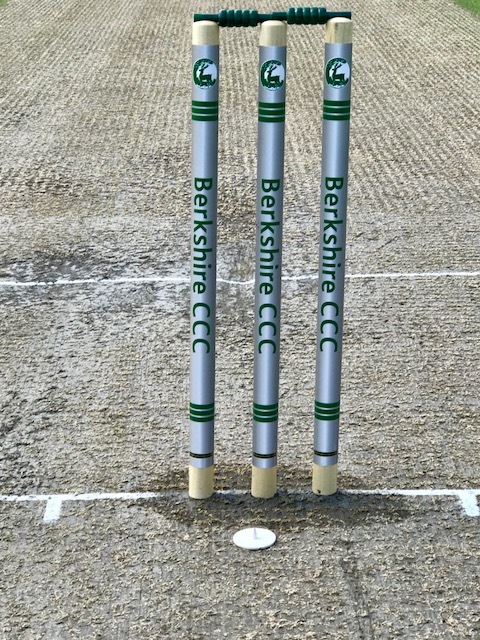 Berkshire completed a comfortable double over Oxfordshire in their T20 games at Falkland CC, winning by seven wickets and five wickets. And this keeps them top of Group 2 going into their final two matches against Herefordshire at Eastnor on June 17th. In their opening game on Sunday, they restricted Oxon to 147-7, of which skipper Jon Cater contributed 52, his half-century coming up off 35 balls. The wickets were shared around with Chris Peploe taking 2-21 off his allotted four overs, Tom Nugent 2-23 off three, Ollie Birts 1-30 (4), Euan Woods 1-27 (4) and Ali Raja 1-37 (4). They were backed up by some excellent fielding, with Dan Lincoln and Rishton each taking a particularly impressive catch close to the boundary ropes. Berks lost Rishton to the second ball, but Peploe and Woods put on 73 for the second wicket before Woods was stumped for 34, while Peploe and Richard Morris repeated that stand, with the former being bowled for 64, leaving Lincoln to crack the boundary that sealed victory in 17.2 overs. In the second game, Oxon, without a win in eight T20 games this season, again batted first and were dismissed for 110 in 19.5 overs, the bowling honours going to young spinner Birts with excellent figures of 3.5-1-11-4, his final wicket coming from a fine catch off his own bowling. Peploe weighed in with 2-14, Woods 2-28 and Nugent 1-29. If the large crowd at the sun-kissed ground were expecting the host side to cruise to an even bigger win then they were soon made to think again. After Peploe had gone for 19 when the total was on 22, Rishton, Lincoln, James Morris and Woods were all dismissed for single-digit scores, leaving Berks 63-5 with 10 overs gone. However, Richard Morris, with 51 off 50 balls, and Joe Thomas, 22 off 25, stayed until the end, with Berkshire reaching 114-5 with eight balls to spare. Skipper James Morris commented: "Overall it was a pleasing day for us. We had not fielded particularly well in our previous game against Cornwall in the Trophy, dropping a few catches, but we corrected that today. Our fielding in both games was absolutely fantastic. We must have saved 20 runs in both games. "There were some seriously good individual performances to go with it, Peploe was fantastic with the bat and ball, Richard's (Morris) knock in the second game saw us home after a great bowling performance from Birts. He bowled brilliantly. He has a great cricket brain and is keen to bowl at difficult times like the power play." Morris added: "These were two very important wins as it keeps us in a very good spot to qualify for finals day."